Information Technology has increasingly become a critical growth accelerator for an organisation in any industry. MBMPL has been a part of the journey for many clients in their endeavour to enable IT as a facilitator for the organisational processes. 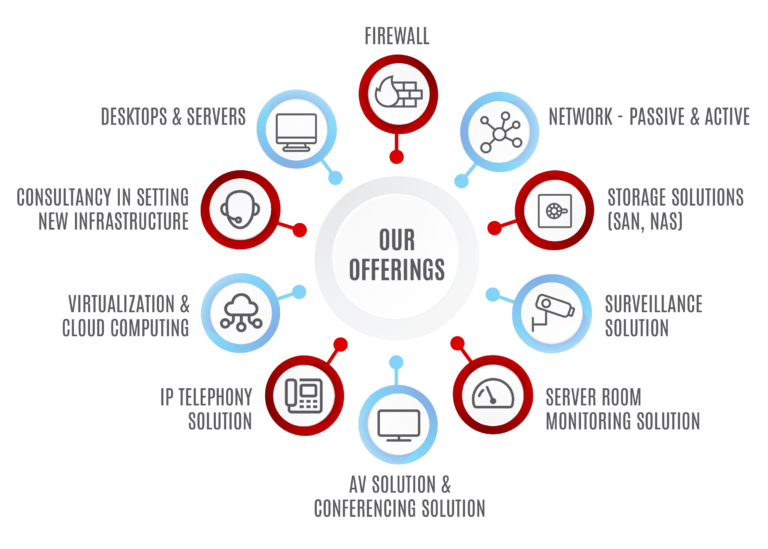 We have helped our clients design the networks, manage the systems, secure the IT infrastructure and provide solutions to business process challenges. With a combination of IT products, services and solutions, we have been able to provide a comprehensive single window option to our clients.